Most manufacturers have a range of hot water systems for commercial applications. These include heavy duty gas water heaters, heavy duty electric water heaters, heavy duty solar water heaters, boiling water units, gas boilers for mechanical services and pool heaters. The Rheem Heavy Duty Gas Water Heater range are designed to be used whenever large quantities of hot water are required. Applications include large houses, units and industrial services. The range includes models that can deliver 1000 litres of hot water in the first hour. 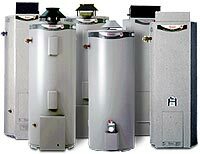 Commercial Gas Hot Water Heaters are also manufactured by Dux, Rinnai and Bosch. Heavy duty electric water heaters are used in, for example, shops such as cafes, restaurants, hairdressers, butchers and laundromats. These are multiple element heaters ranging from 50 to 315 litres, (Rheem), with the ability to deliver from 235 litres to 935 litres of hot water in the first hour. Dux also manufacture heavy duty electric hot water heaters, 315 or 400 litre cylinders with 3 or 6 elements. 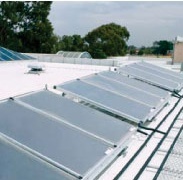 Commercial solar systems are used in conjunction with conventional heating methods such as gas or electric boosted storage tanks. The conventional hot water heating needs to be capable of supplying 100% of the total hot water requirements in the event of the worst possible weather expected. The solar panels drastically reduce energy costs by providing hot water with a lot less intervention by the gas or electric boosters. 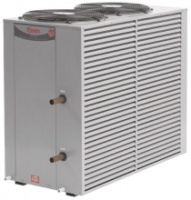 Rheem, Zip Industries and Wilson Hot Water are three manufacturers of boiling water units, some of which can supply up to 240 cups of boiling water at the one time. For more information on any of the above systems, or underfloor and pool heating units such as Raypak, please don't hesitate to contact us.